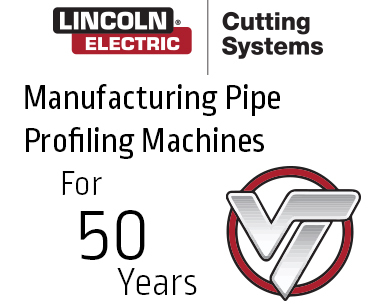 VERNON Tool, of Lincoln Electric Cutting Systems, is a manufacturer and global supplier of industrial pipe cutting machines, pipe beveling equipment and metal tube cutting machinery. Founded in 1930, VERNON Tool has dedicated eight decades to discovering, evaluating and meeting the unique pipe fabrication needs of clients across the globe. American made, Vernon Tool machines offer industry leading performance that are engineered for decades of production. 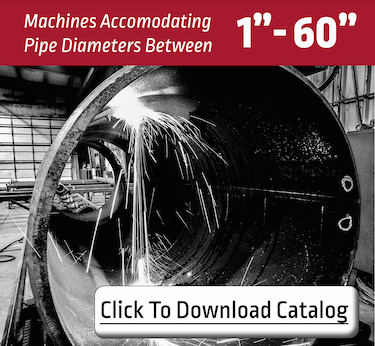 Visit our machines overview page to see a full range of pipe cutting machinery and info to aid you in determining which Vernon Pipe Machine is best matched for your business' unique pipe cutting application. 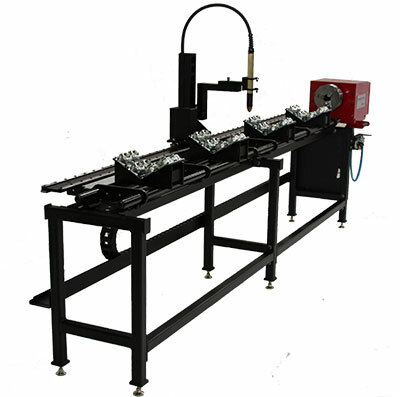 Our flagship pipe cutting and beveling machine. Entry-level machine features powerful, dual-axis CNC controls to easily cut pipe or tubing of multiple lengths, diameters.